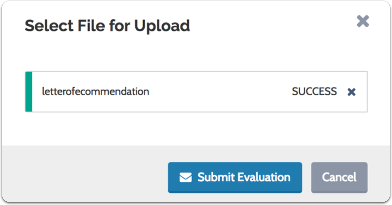 If you have been asked to provide an evaluation for an applicant who has applied to an institution that uses Interfolio's Faculty Search, you can fulfill this request in a few, simple steps outlined below. You can print this article using the link to the left of the page. All requests for evaluations are managed by an administrator at the institution conducting the search. This individual will invite you to submit an evaluation via email. 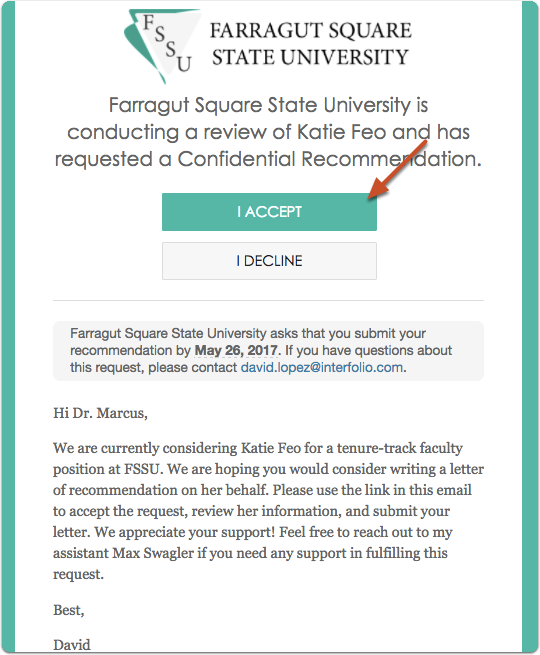 If you choose to accept the request you will be taken to a page with relevant documents (if any), provided by the institution, to help guide your review. Click "View" to access files included with the request within the Interfolio Document Viewer. 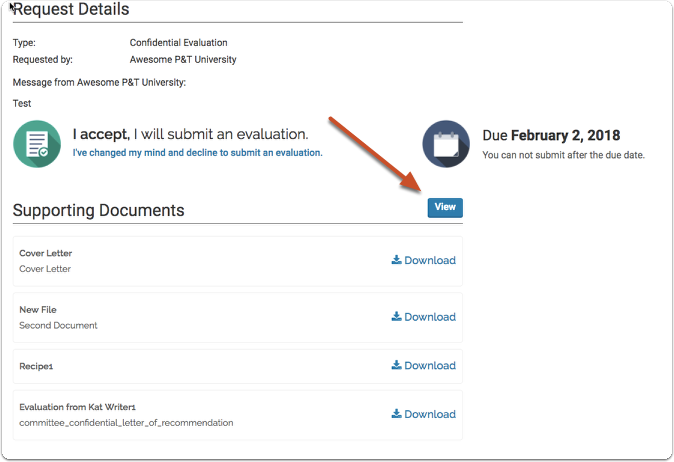 Selecting “Accept” will notify the requester that you have accepted, but will not show whether you have read or uploaded materials. The document viewer will load and allow you to easily view the materials from within your browser. 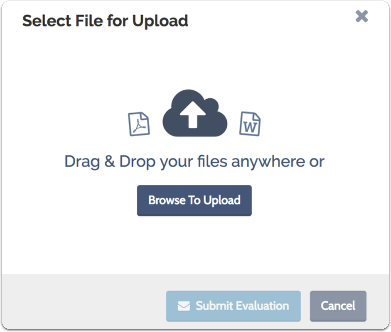 After closing the document viewer, when you are ready to submit your evaluation, click "Select File for Upload"
You can return to the page at any time while you are working on your evaluation by either re-opening the initial email request and clicking “Accept,” or, if you have an Interfolio account, sign into your account to find the request on your dashboard. You will see a confirmation screen thanking you for your evaluation and inviting you to create a free Interfolio account. 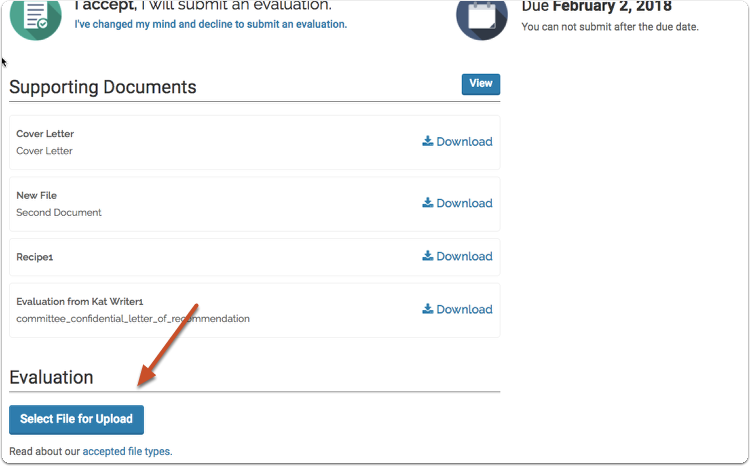 You do not need an account to submit an evaluation. This is an optional step. However, you may find it useful to store, track requests, and send confidential recommendations using your free account. 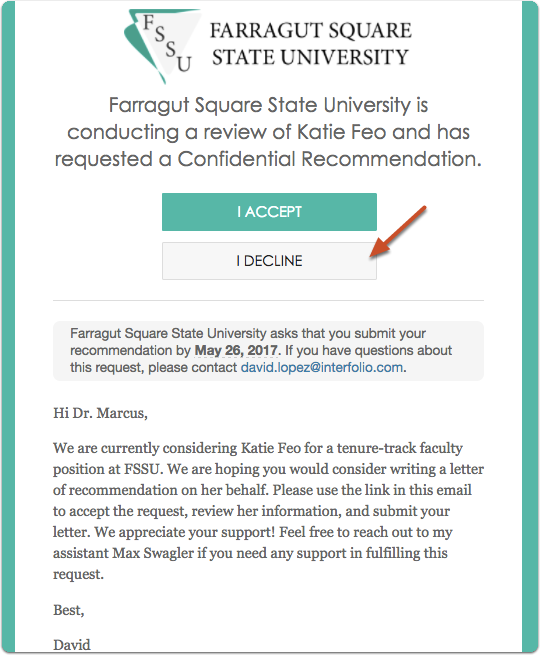 If you choose to decline the request for an evaluation you will be taken to a page confirming your choice. 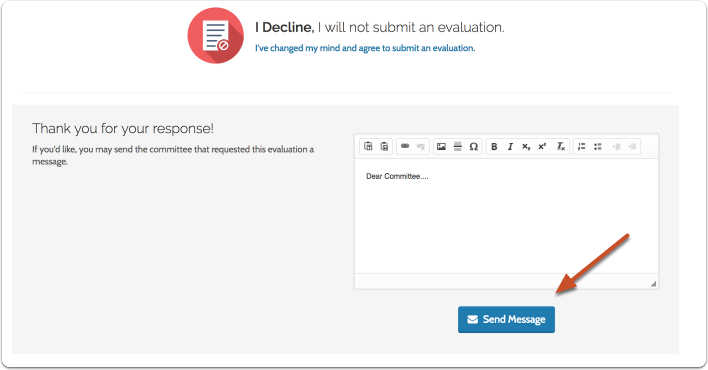 Note that if you change your mind, you can come back to this page through the original email (or your Interfolio account if you have one) and agree to submit an evaluation. Type your reply and hit "Send Message"
You will see a confirmation screen thanking you for your decision along with an invitation to create a free Interfolio account.